Just reusing the 2010 Archaeology Forum graphic here. I think it was the day after the last Musqueam – Lab or Anthropology Archaeology Forum that I had to post this, so time flies, and not always exactly like a banana. In more recent dismal events, my laptop got disturbed, which, even though a quality it now shares with me, has disrupted this blog of the last week or two, not to mention my day job. Anyway, I wanted to get out this announcment which twoeyes kindly forwarded a week or so ago: the 2015 BC Archy Forum is being co-hosted by the Musqueam Indian Band and the Laboratory of Archaeology at UBC, and runs from Friday October 16 to Sunday October 18. So, soon. What follows is the text of their announcement email within UBC circles. Friday, October 16 is a special full-day roundtable focusing on archaeological repositories. see the attached document for the agenda as well as the Registration Form. This event takes place at the Musqueam Community Centre in Classroom 1. If you have any questions about this roundtable you can contact Patricia Ormerod at (604) 822-2567. Please return the [roundtable] registration form (MS Word document) to this email address (bcarchforum2015@gmail.com). There is a $15 fee for this roundtable – it includes snacks and lunch. Saturday, October 17 is the main day of the Forum. Please complete the attached document BCArchyForum2015Registration.docx and return it to this email address (bcarchforum2015@gmail.com). The Forum will take place at the Musqueam Cultural Education and Resource Centre, 4000 Musqueam Avenue. The day will begin with a Welcome and continue with panels and presentations. This year, we especially invite panels/presentations focusing on 1) Indigenous heritage – challenges and ways to move forward, 2) Heritage Landscapes, and 3) Place and Memory. There is a $20 registration fee for the forum – this includes snacks, a hot lunch, facilities rental, etc. Sunday, October 18 we will be organizing tours of c̓əsnaʔəm, the city before the city at the Musqueam Cultural Resource and Education Centre, the Museum of Anthropology and the Museum of Vancouver. It’s traditional that I grumble about at least one thing when it comes to, well, anything. Here we go, with a bonus grumble. My standing grumble is that the Archaeology forum is mostly announced so late. That’s fine if, in this case, you’re in Vancouver. If you plan to attend from, say Chetwynd, or Nelson, or even Nanaimo, it’d be helpful to have a longer heads-up. Nothing against the current edition of the Archaeology Forum, it’s a longstanding problem for those of us who have to find the time and the money in advance to attend. My longstanding offer holds: I’ll post the forum announcement here if you want to get the word out. The other grumble is the Forum started as very much a non-academic conference, intended to bring consultants, First Nations, academics, government and other stakeholders together to update what’s happening and to chat. The last couple have started to resemble academic conferences with theory-driven themes. This might be a barrier to some Joe Consultants or other archaeologists who want to come, but don’t have a particular thematic view to espouse. It might also be a barrier to audience comprehension of papers considering thesignificant number of non-archaeologists who attend. What I’m saying is, don’t let the archaeology part of the archaeology forum become another elitist venue. 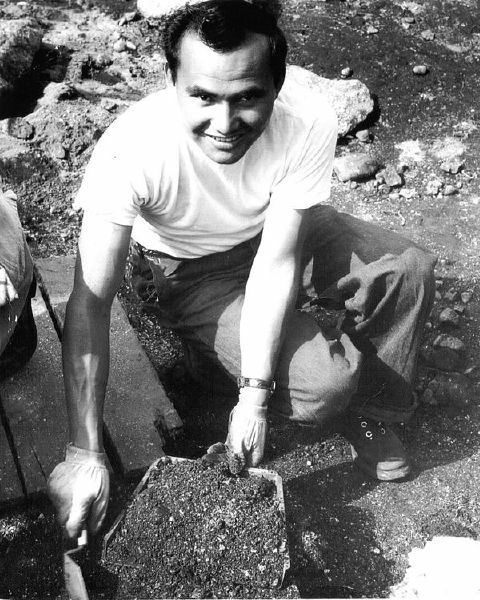 This entry was posted in Archaeology, Cultural Resource Management, First Nations, Northwest Interior, Northwest Coast and tagged bc archaeology forum, conferences, LOA, MOA, Musqueam, ubc. Bookmark the permalink. It is going to be a bit of a tight fit for the (numerous) Hakai Institute researchers to get from their annual research exchange meetings in Nanaimo the day before. Since they are involved in some of the more interesting (to me, at least) archaeology and related research going on in BC these days it would be good if they could be present, and presenting, at the Forum. This is coming from the jungles of Guyana. The recent discovery by imagery that virtually eliminates vegetation and posts an image of extensive bearmed cultivation has rewritten a chapter on the content in all the native writing here in Amazonia. What has been haunting me since an article about a recently discovered cave ,was the image of a bright eyed ,smiling face, looking up from deep in a pit. I use these terms specifically, because in the drift and glow expressed in the piece, all logic went to discovery. The process of digging ,whether you pick away with patience ,or scour away hydraulically has time worn rules. The very initiative that created the Work Safe organization , or whatever bit of fluff they have chosen to rebrand themselves , was started because men, thats right men , women did not need to work in pits during our early economic history, were being buried alive. That look of satisfaction from deep in that pit, with no shoaring , no safety line , just a professional satisfaction begs this question. How much are you really aware of what it is you are doing?